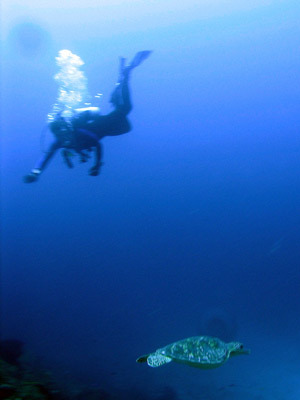 Most of the dive sites at Kavieng, New Ireland, Papua New Guinea, are located relatively close to Nusa Resort and the township. 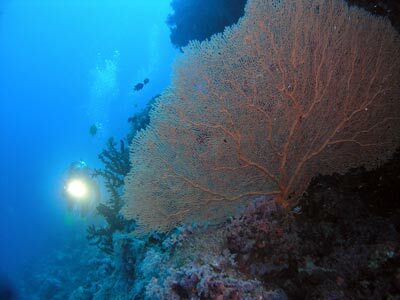 The opportunity for great dive sites located in the area to the west of Kavieng is immense as there is a vast area that looks like it would provide fantastic diving. West-south-west of Nusa Resort at Kavieng is Planet Channel. I am not sure how it obtained its name, but there is also a Planet Rock at Madang and there was a Royal Navy warship called HMS Planet (did it hit the rock?). 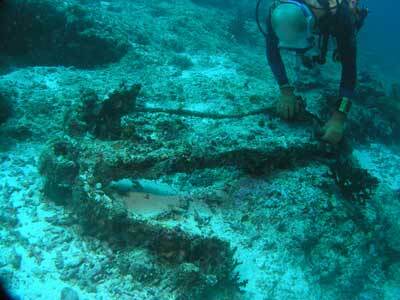 Planet Channel is located between Enang Island and Nusalana Island. 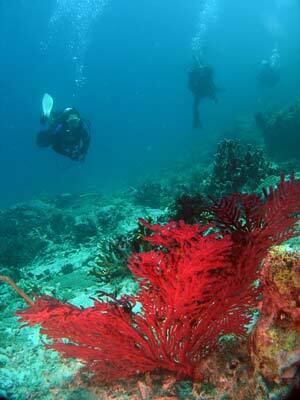 It is a 60 minute run to the site from Nusa Resort, meaning that it is about 43 kilometres by water. There is another dive at the entrance to the channel called Planet Hollywood. This dive is an alternative to that one if the current is too strong or as a second dive. On the western side of the channel there is a small village called Enang. The plan is to start on the outside of the channel and drift back into the channel and end up near the village. You gear up and the boat takes you about 200 metres or so up the reef (west) from the channel start. 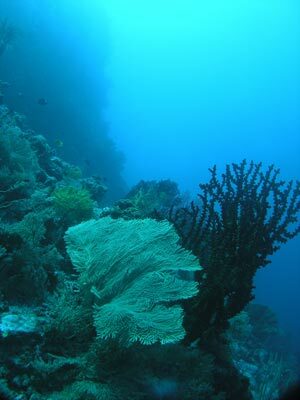 You drop in and descend to the reef. Here there is a wall that slopes steeply to 35 plus metres, with some vertical walls. The current is a medium one but in some spots there is no current where you have to fin a bit. You should see lots of sharks and barracudas at the start. 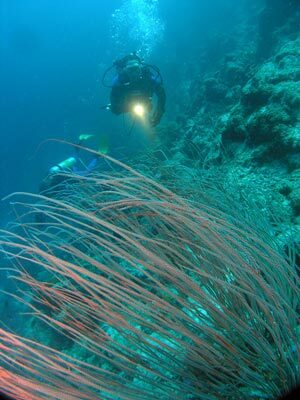 There are lots of gorgonias and sea whips on the wall and slope. Some of these are quite large. We drift east and see some titan triggerfish and one clown triggerfish. The reef turns north and then north-west as you enter the channel. The depth comes up to about 20 or 22 metres. There are less large fish here, but still lots to see. On the slope from the shore there is a large anchor. This looks relatively old (but not a hundred years). The depth gets shallower and closer to the village it is about 12 to 15 metres. When I did this dive, I noticed a kid from the village down beside me. He has swum down from his canoe which is above us. I quickly take a photograph of him. Soon the current drops off totally. We now have a dozen small canoes above us and heaps of kids. Some of them are swimming down to look at us. Finally we ascend after almost 50 minutes. We get back on the dive boat but the some of the kids yell to Kelly to get on their canoe. She does and they hoot in laughter. What a great experience, these children have so little but are so happy. 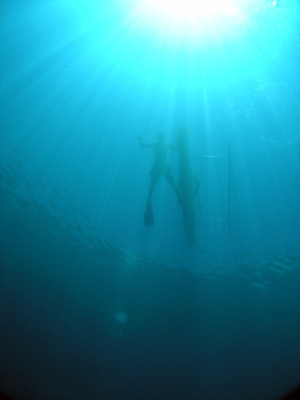 Visibility on this dive was 25 metres and the temperature was over 29ºC and closer to 31ºC near the village.